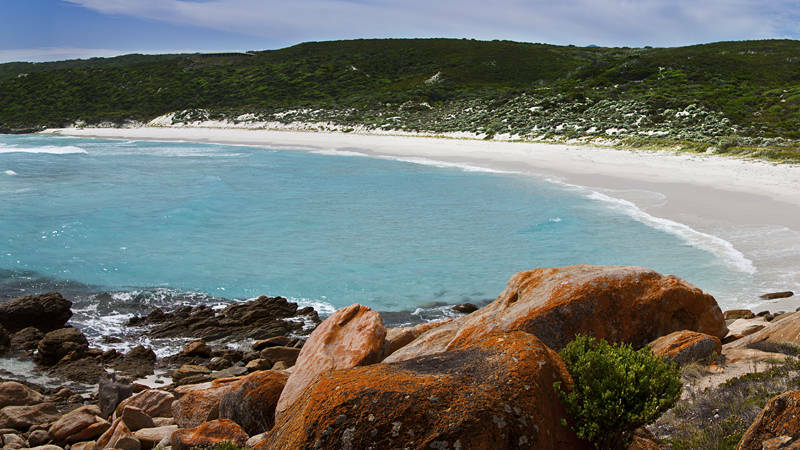 This is Native Dog Beach in Bremer Bay which we visited after Christmas. Bremer is the nearest coastal town to Hopetoun if you travel west. It looked close enough on the map but involved a 320 mile round trip around the Fitzgerald National Park. In hindsight, it was a long way to go when Hopetoun is surrounded by miles of white sandy beaches. It was good to give the van a run as its not moved for a fortnight but we will probably stick to more local attractions for the rest of January while we are living here.